Take students on a journey of new discoveries from the moon to Mars, from Mercury to Pluto. The knowledge about the planets that circle our sun, gained from manned space exploration, is explained by expert scientists and brilliant video in this interesting program. 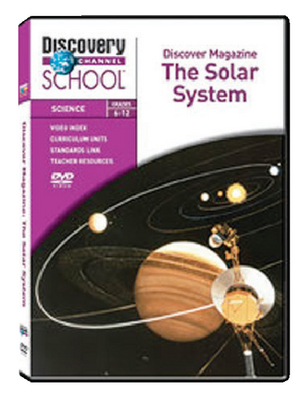 Divided into three segments, the topics covered include space telescopes, new findings about the solar system, and the inner workings of the sun. Students will learn how space telescopes use the light of distant objects to form clear images that are not affected by the Earth’s atmospheric distortion, and what goes on inside the Sun, including massive solar radiation. Close-captioned. Duration: 55 minutes.